F. C. Calvert and Co of Gibbon Street, Manchester. Dr. Frederick Crace Calvert was an eminent Manchester analytical chemist; he was also a brilliant but erratic scientist married to a somewhat volatile Frenchwoman named Clemence. 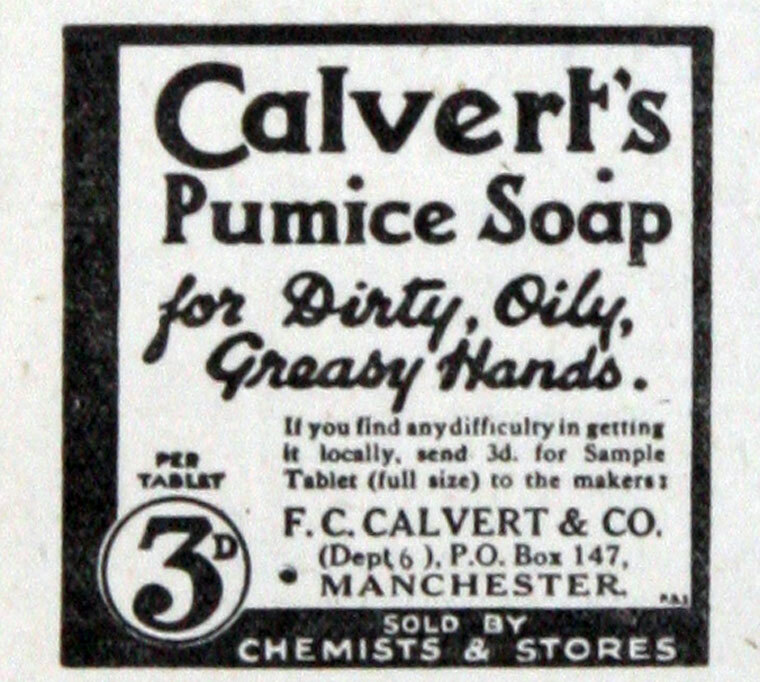 Amongst other things he invented the first commercially practicable method of producing phenol (carbolic acid) and set up a company - F. C. Calvert and Co - on the eastern outskirts of Manchester to exploit his discovery. At first, the company's main concern was the manufacture of phenol and picric acid, together with running small plants for making nitric and sulphuric acid (by the old Chamber process) as well. 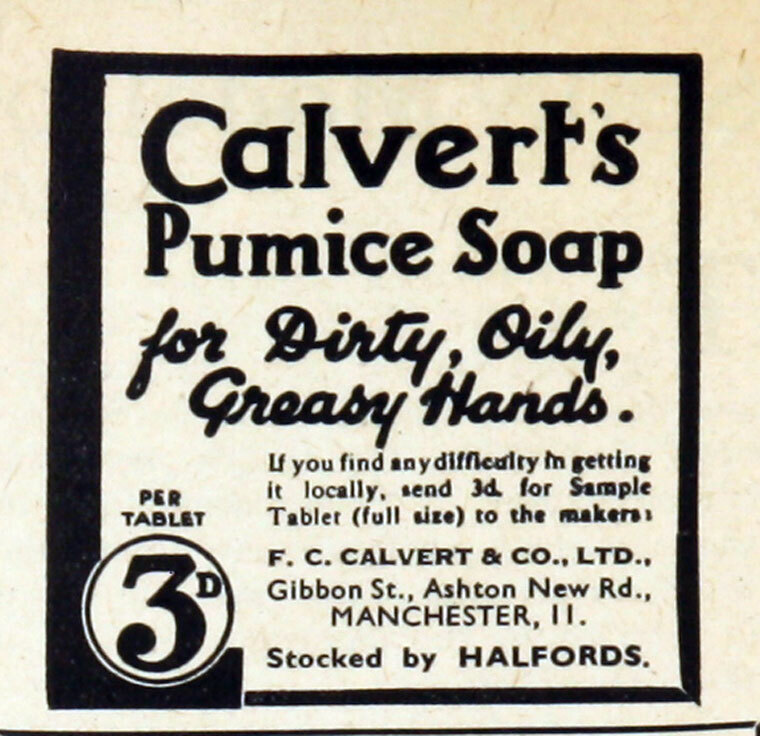 Eventually however, the business became concentrated on phenol and the incorporation of carbolic acid in domestic articles like household disinfectants, soap and so on. 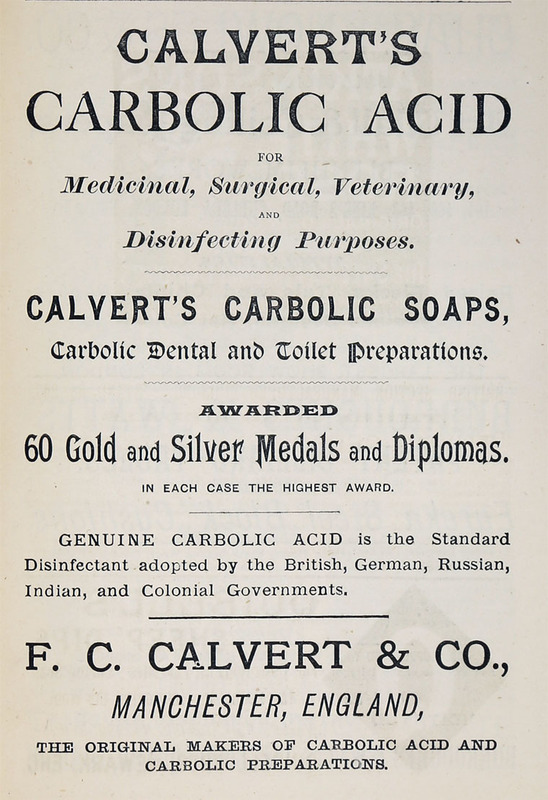 The most successful of these was Calvert's Carbolic Tooth Powder which, at one period, about 1906, had the largest sale of any dentifrice in the world. 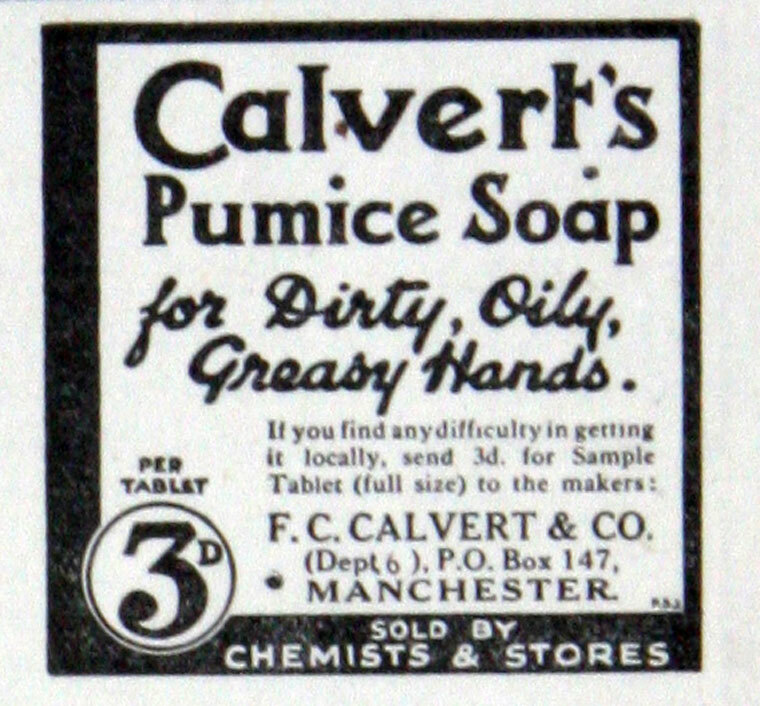 The company remained in existence as an independent chemical manufacturer until 1965, when it was taken over by Unilever, together with an associated company, Charles Lowe and Co of Reddish, Stockport. This page was last edited on 13 September 2017, at 15:07.